ROTARY Engineering has secured two projects worth more than US$120 million in the United Arab Emirates (UAE) and Thailand to provide engineering, construction and maintenance services for tank storage projects. The tank storage projects are for the oil refineries of Emirates National Oil Company (ENOC) and Thai Oil Pcl, and are part of an expansion of the existing refining capacity for both. The ENOC contract is part of a US$1 billion project to expand the production capacity of the Jebel Ali refinery in Dubai from 140,000 barrels a day to 210,000 barrels a day. The UAE wants to build up its downstream oil operations to be self-sufficient in domestic fuels and to expand the products on offer for export. The UAE project is Rotary’s second key project in the Jebel Ali Free Zone for industries. 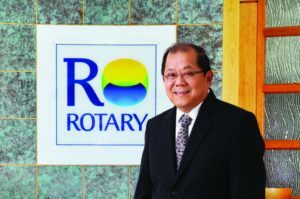 The Thailand project is one of several projects Rotary has in the country.